Melody Carlson is one of my favorite Christmas authors. 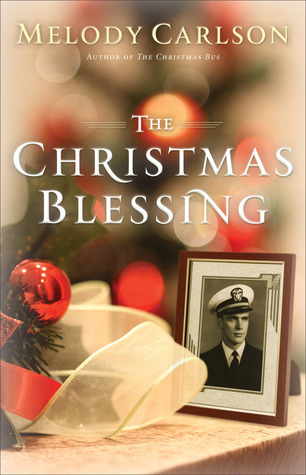 Every year she writes the most beautiful Christmas stories and "The Christmas Blessing" is just that! Melody will keep you on your toes with this book and don't worry, you'll shed some tears, you'll wonder how everything will work out, but most of all you'll be reminded that God works everything out for His glory. Overall, you'll fall in love with Baby Jimmie, you'll love Amelia and you'll be shocked by Helene and George. Just buy this book and take my word for it! This book is a quick read. I read it cover to cover in one hour and couldn't put it down. I give this book 5/5 stars. Thank you to the publisher for providing me a complimentary copy for review. Melody Carlson has written more than 200 books (with sales around 6.5 million) for teens, women and children. That's a lot of books, but mostly she considers herself a "storyteller." 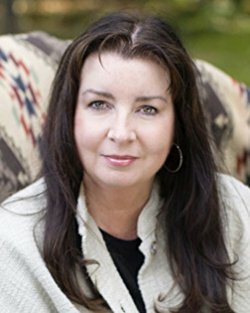 Her novels range from serious issues like schizophrenia (Finding Alice) to lighter topics like house-flipping (A Mile in My Flip-Flops) but most of the inspiration behind her fiction comes right out of real life. Her young adult novels (Diary of a Teenage Girl, TrueColors etc.) appeal to teenage girls around the world. Her annual Christmas novellas become more popular each year. She's won a number of awards (including Romantic Time's Career Achievement Award, the Rita and the Gold Medallion) and some of her books have been optioned for film/TV. Carlson has two grown sons and makes her home in the Pacific Northwest with her husband and yellow Lab dog.